So I bought this 5i20 PCI board from http://www.mesanet.com/ to practice doing FPGA work from Linux. 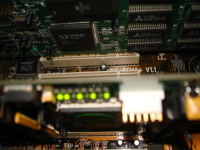 The card has a 200k gate Xilinx Spartan II FPGA (XC2S200-PQ208) on board along with a PLX9030 PCI bridge chip. On the board is 8 LED's and a bunch of connectors I never plan on using. My ultimate goal (which I'll post in on this page later) is to write a Linux driver for the card and to do to some processing on the card to test the speed of the FPGA vs another project I did in assembly. First I went to Xilinx's website and downloaded their free webpack for Linux. For anyone with a 64 bit system like me, when you install it, make sure you run bin/lin/setup instead of the setup program in the root dir. This will install the 32bit ISE instead of the 64 bit ISE which won't include the IDE. Next create a new project, add the .ucf file, type in the VHDL, synthesize, implement, generate. This should create a pciblink.bit file which I copied to the computer that has the card installed. So I've alread created my first Linux kernel module (a netdisk kernel module) to practice with. 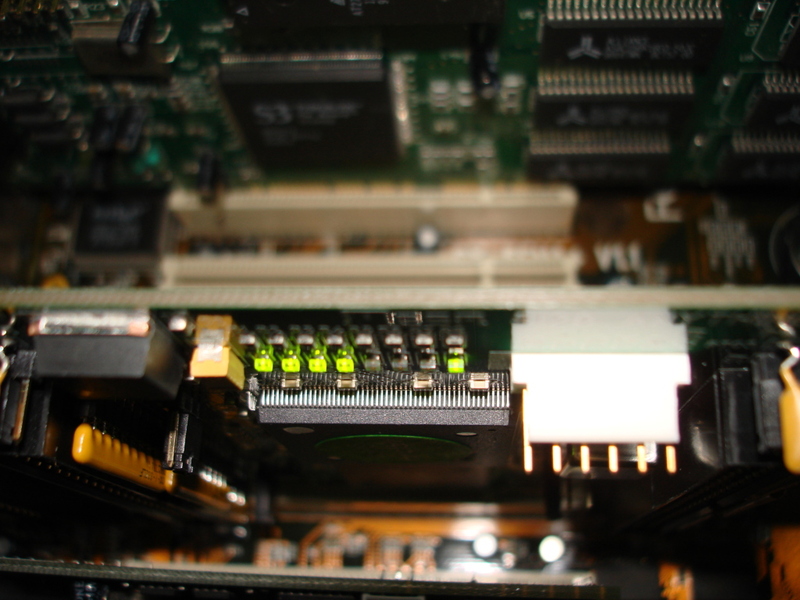 My next step is to make a kernel module that talks to the PCI bus/5i20 card and make a bitfile that can read and write from the bus through the PLX9030. Here's a close up of the card with the LED's running. Another pic of the LED's going from a different angle. Mesanet.com - This is the web site that sells the 5i20 card. 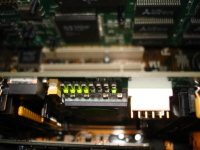 http://linuxcnc.org/ - The emc2 package which contains bfload, which is used to load bitfiles on the 5i20 card from Linux.